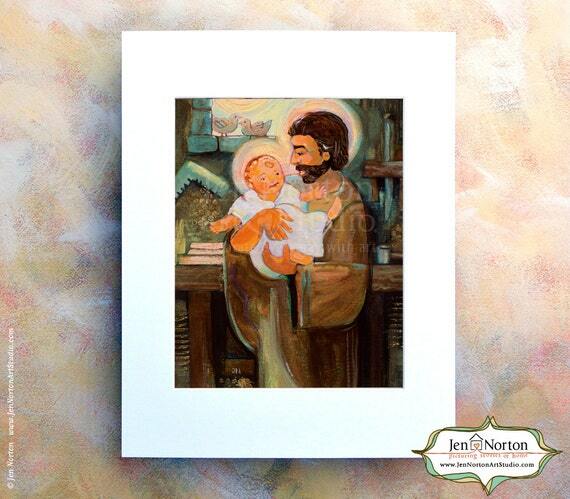 March is filled with amazing saints — including one of my favorites, Saint Joseph. 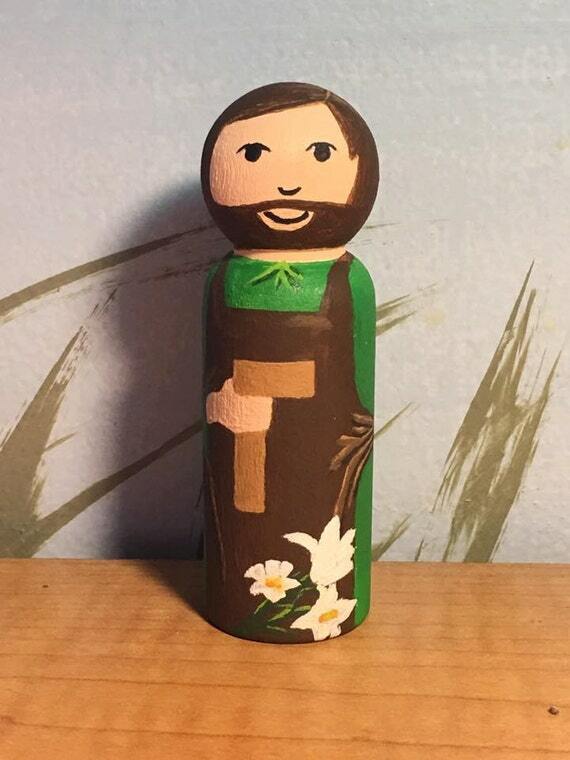 We’ve gathered an array of ideas to help you celebrate Saint Joseph in your home — from crafts, learning activities, printables, food ideas, books and more. 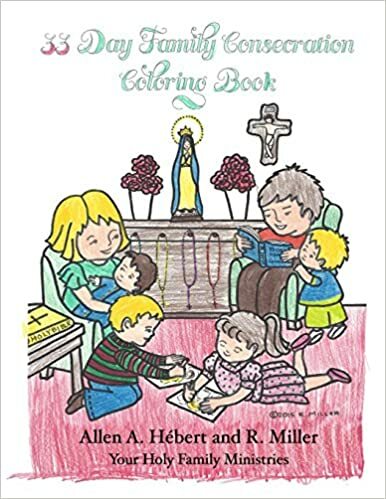 As a family, we keep it simple most months with a coloring page or book. 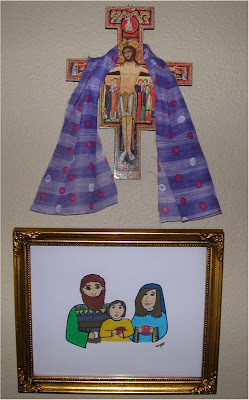 Other times, we get more involved by adding in crafts, activities, Catholic printables or even Catholic movies. Gathering ideas and resources can be a little overwhelming for busy moms. 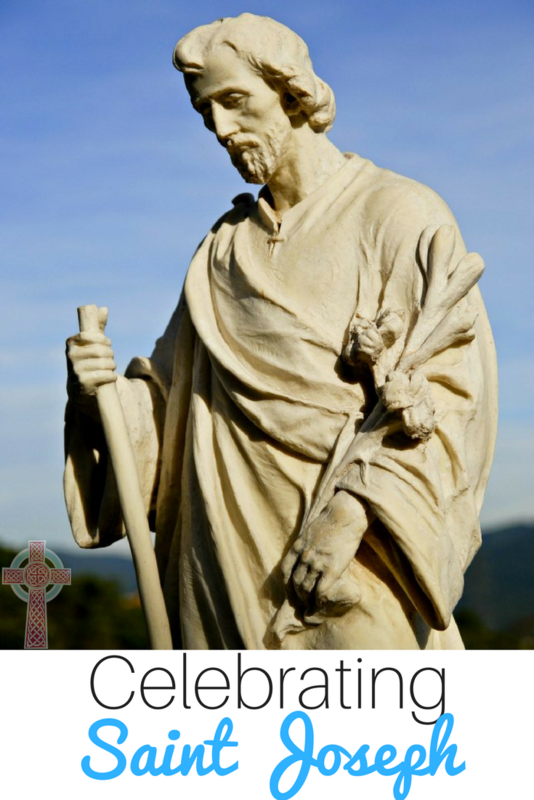 I’ve gathered some of our favorite ways to celebrate — don’t feel compelled to do everything. 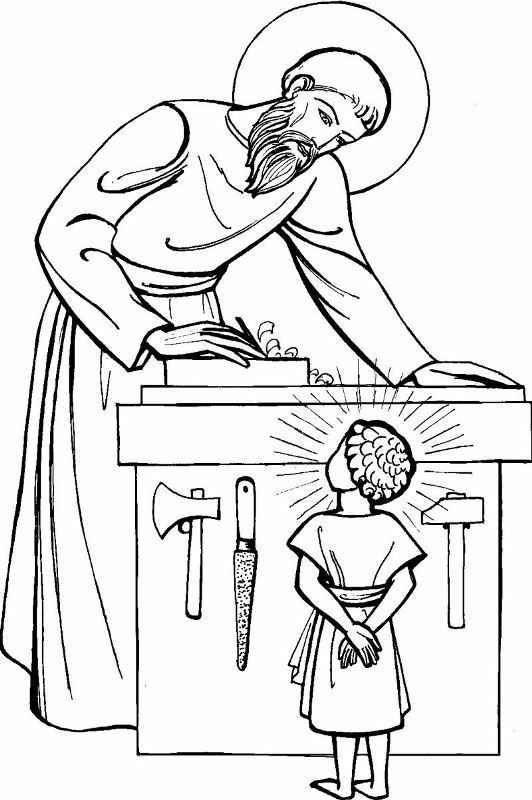 Pick and choose the ideas that work for you. 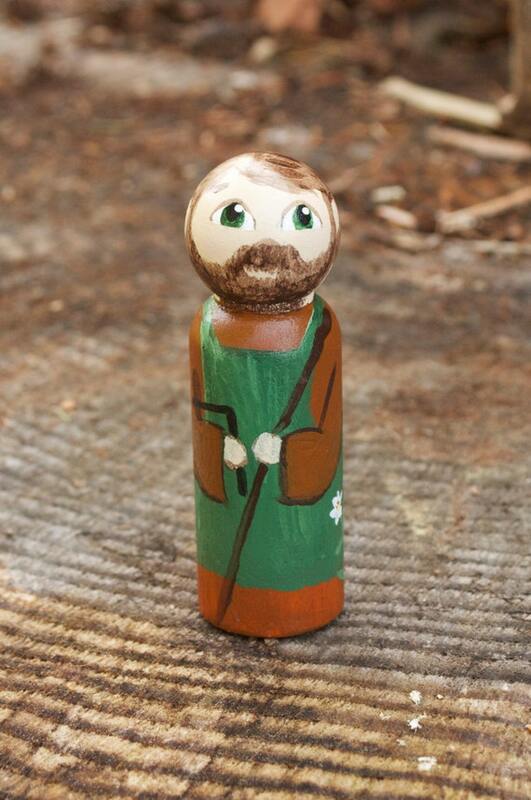 Saint Joseph crafts are an easy way to make the feast day super fun for your littles. 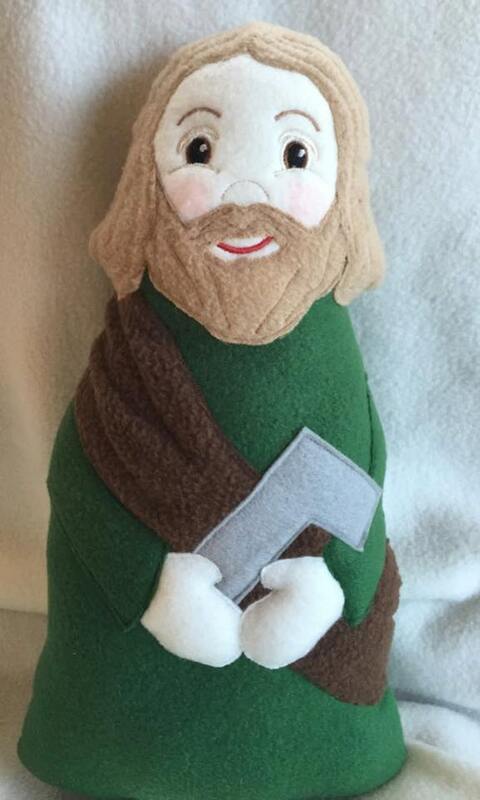 These ideas are quick and simple, but still have plenty of fun factor for your children. 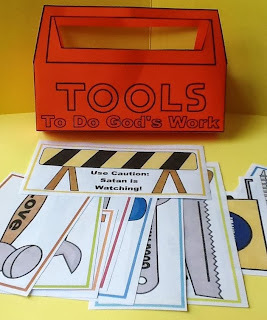 Scroll way down to the bottom of this post for a toolbox craft. 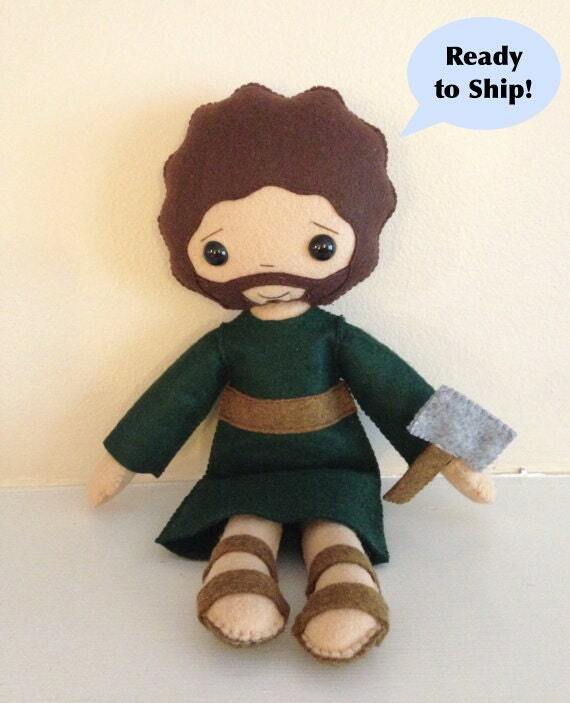 This is perfect, for Saint Joseph, a carpenter. 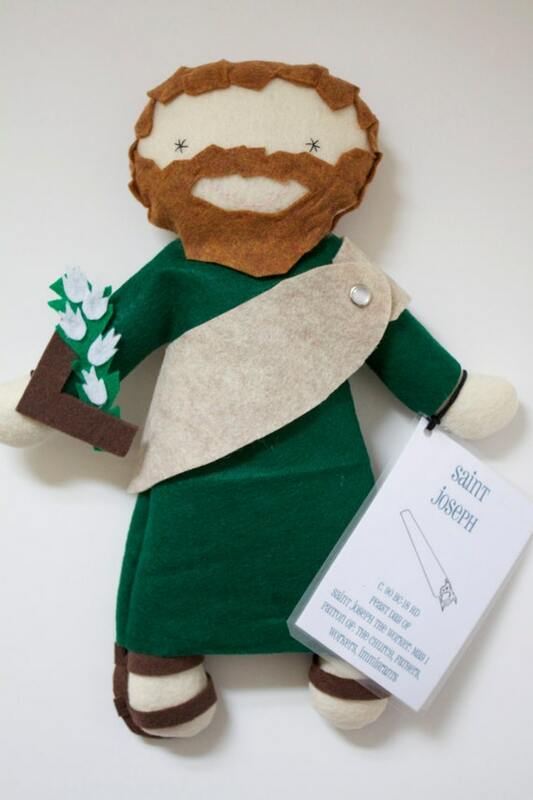 Need a quick and easy Saint Joseph craft? 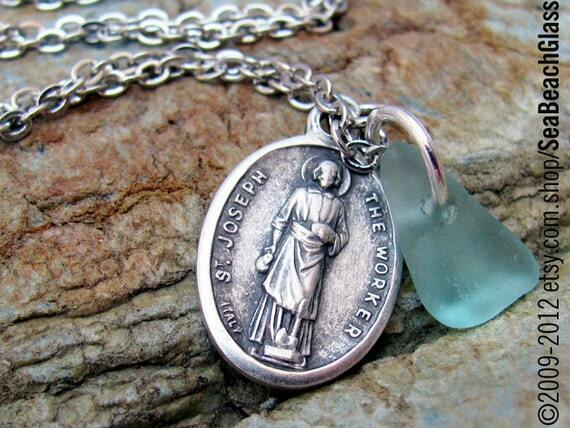 This St Joseph shrine would be perfect. 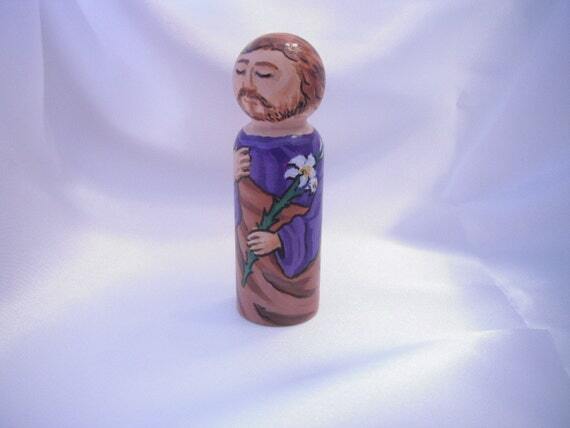 In Catholic art, St Joseph is often pictured with lilies. 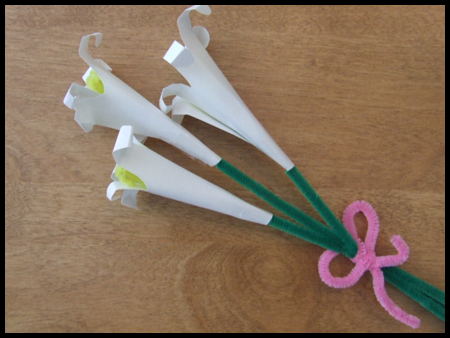 You can make your own Easter lily bouquet with just a few supplies. 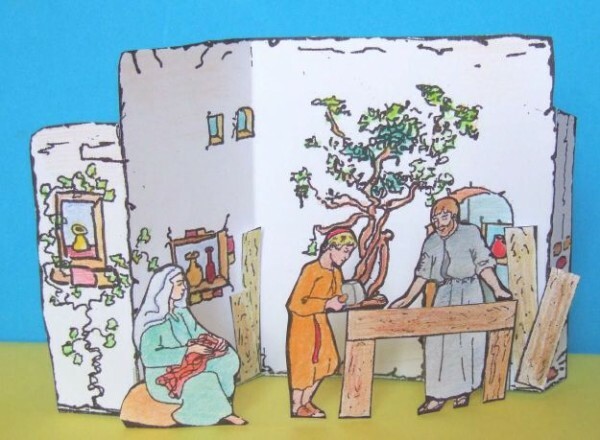 Although this site is in French, this Holy Family diorama looks lovely. 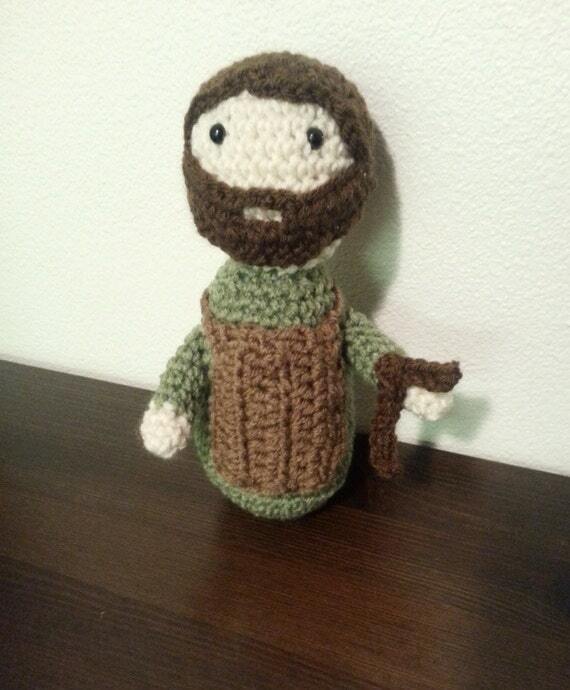 Ready for more crafting? 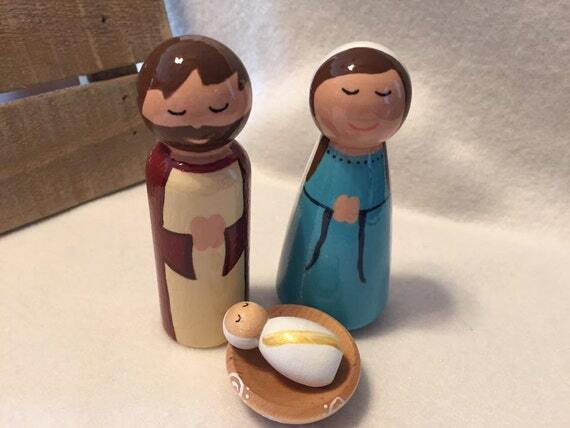 These Holy Family felt doll statues are sweet. 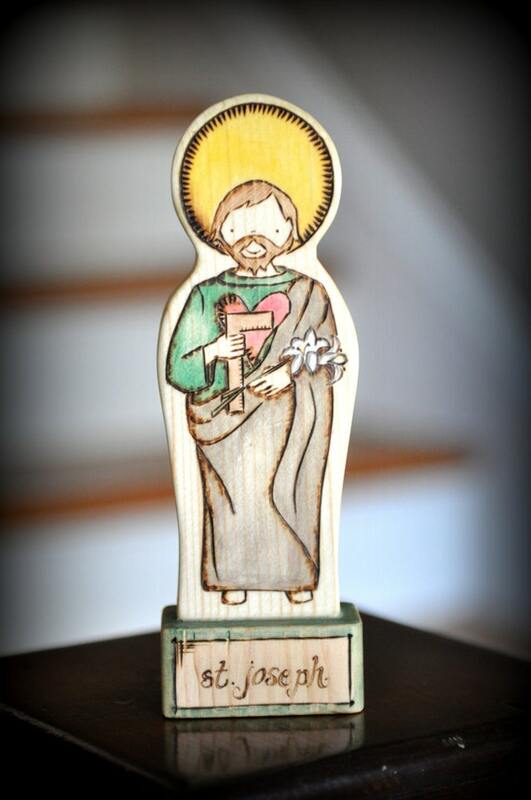 Pay homage to Saint Joseph’s profession with this wooden craft. 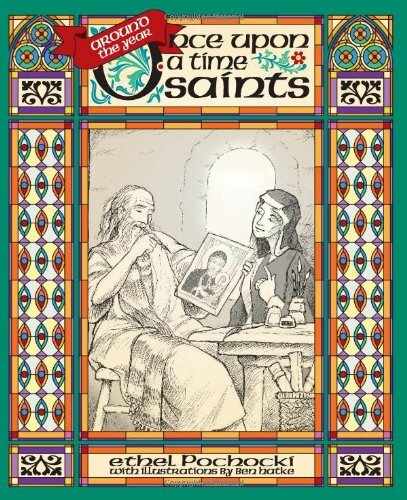 What better way to celebrate and learn about a saint than food? 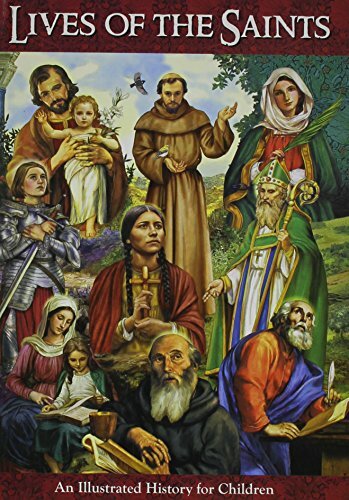 In our home, saint celebrations and feast days are marked with a special dish, either from the saint’s country of origin or that share some connection to the saint’s life. 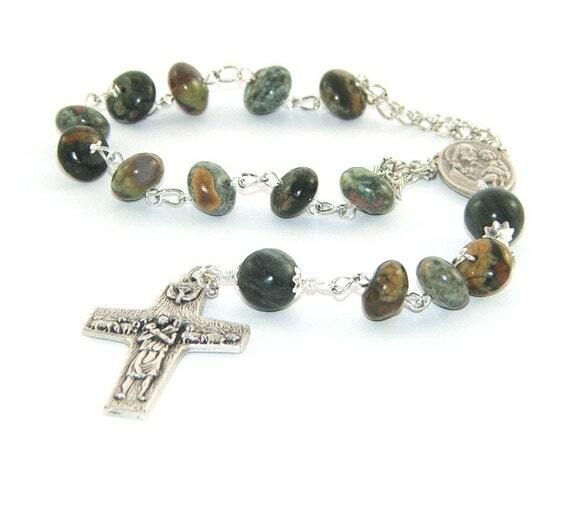 For Saint Joseph’s feast day, it’s traditional to serve Italian dishes. 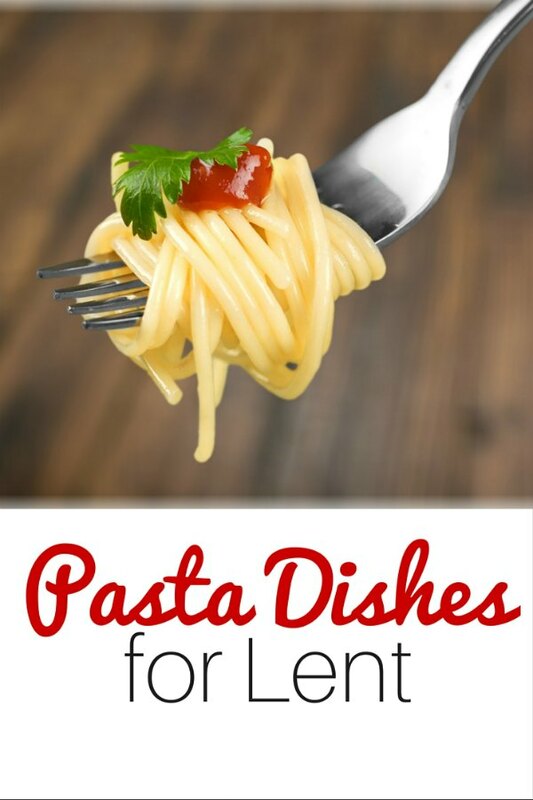 You can find some ideas here, in these meatless meals for Lent. 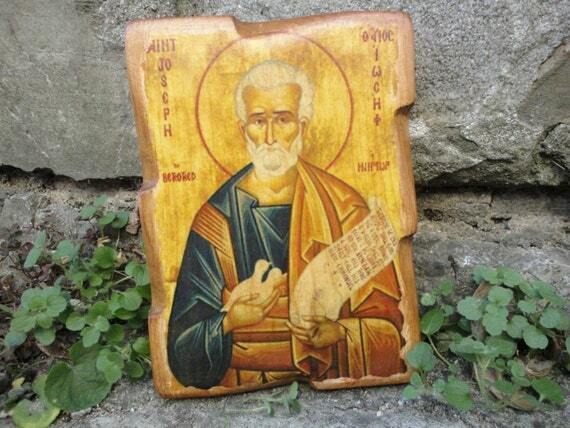 You’ll find more traditional dishes for St Joseph’s day, including pasta dishes, and fig cookies. 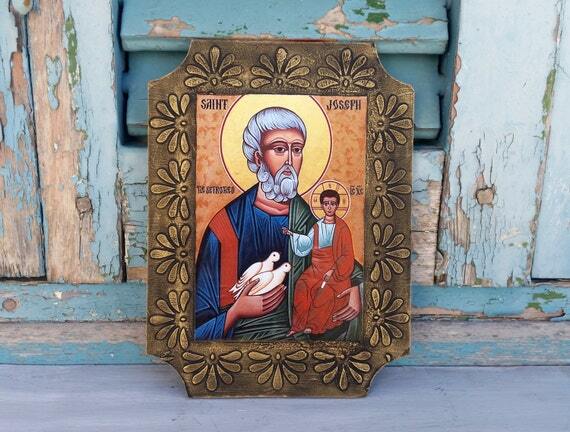 For your St Joseph’s feast, you’ll need an altar. 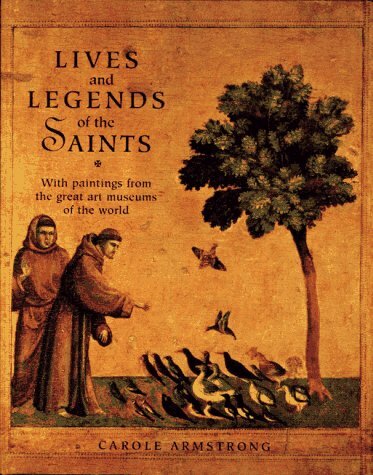 Learn about the symbolism of the different foods here. 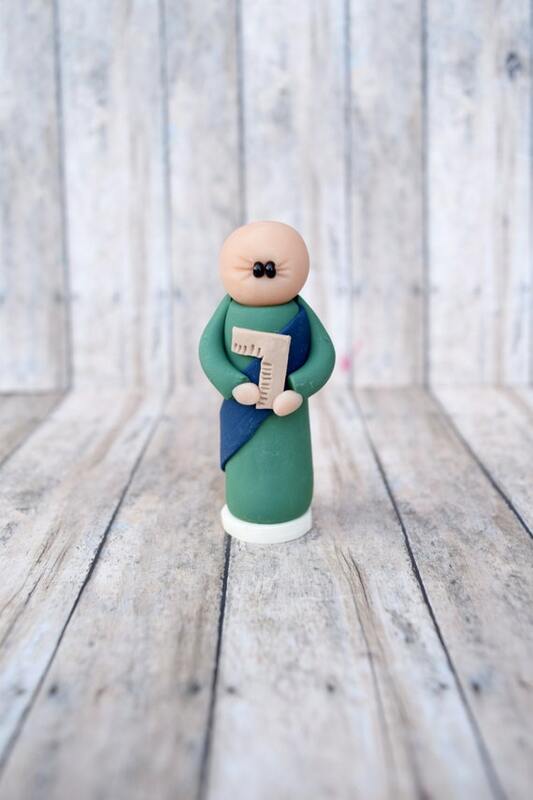 Need a dessert? 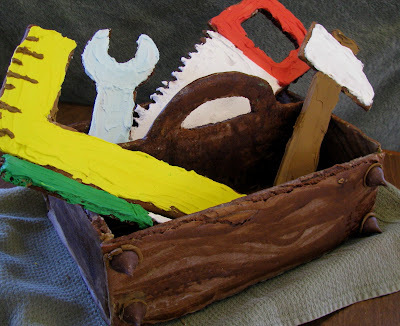 This Gingerbread Tool Box is adorable. 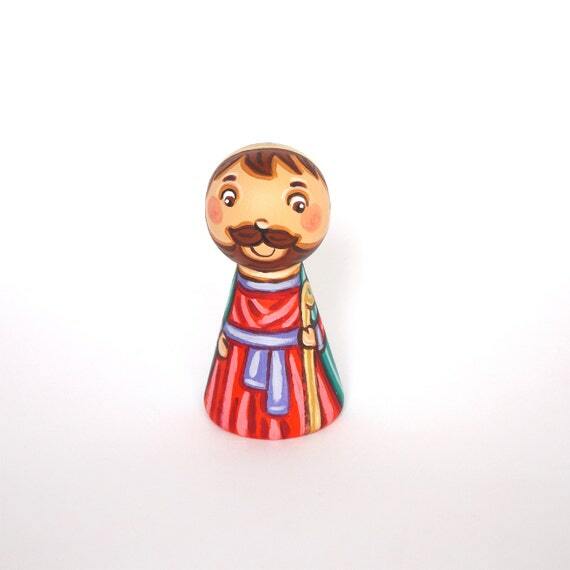 But — don’t feel like you have to make a huge, elaborate feast. 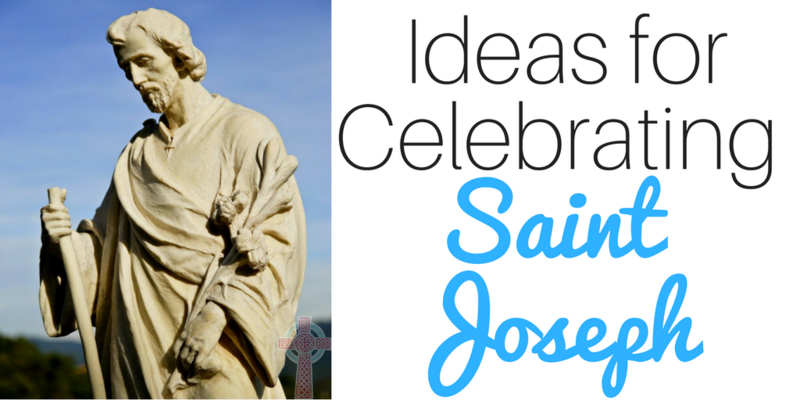 Planning something simple, but lots of fun, is one of the very best ways to celebrate a feast day. 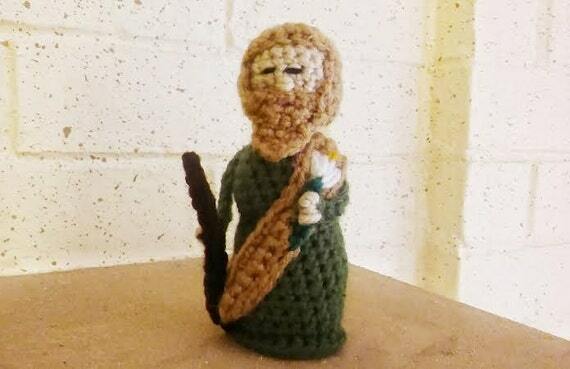 Don’t miss Pam’s ideas. 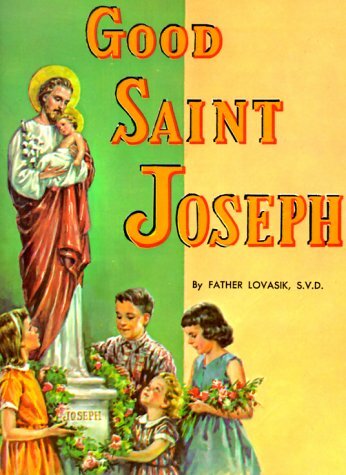 Whether you’re a Catholic mom teaching her children at home, or sending them to a local school, you’ll want to explore these ideas for learning more about Saint Joseph. 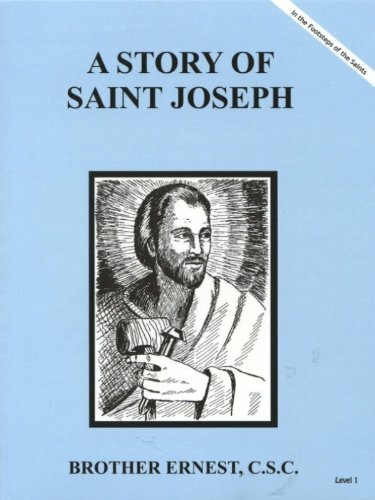 Over at Catholic Culture, you’ll find Mass readings for today, along with ideas for celebrating Saint Joseph. 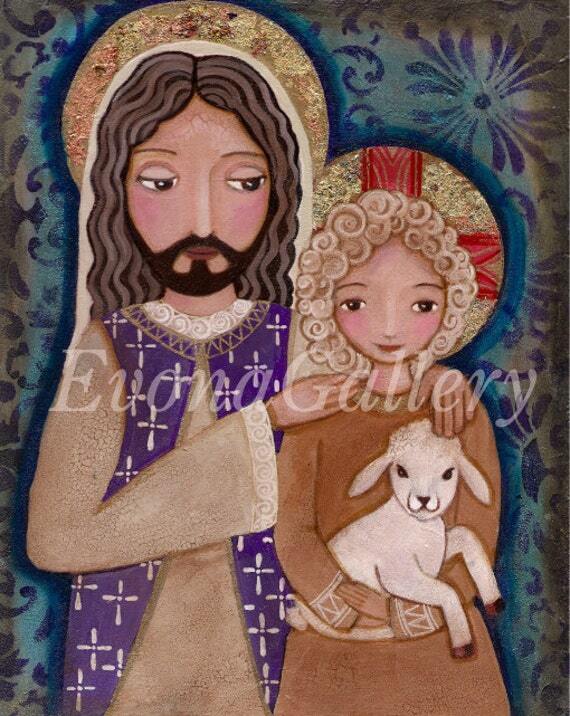 To celebrate St Joseph, we’ve printed out this Holy Family printable and framed it. 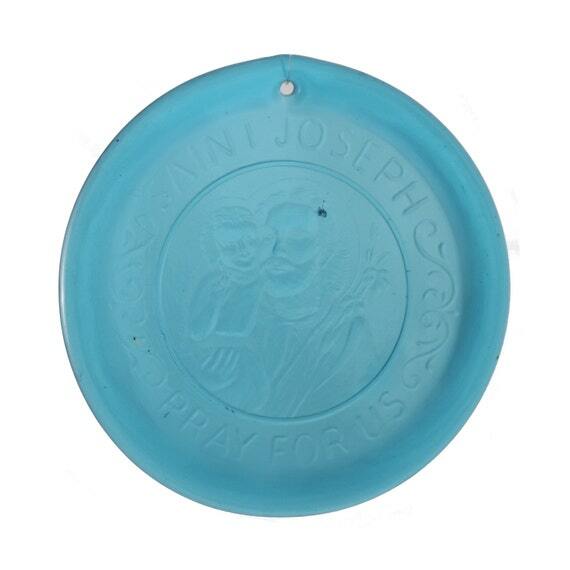 It’s perfect for a foyer, or even on a Saint Joseph altar. 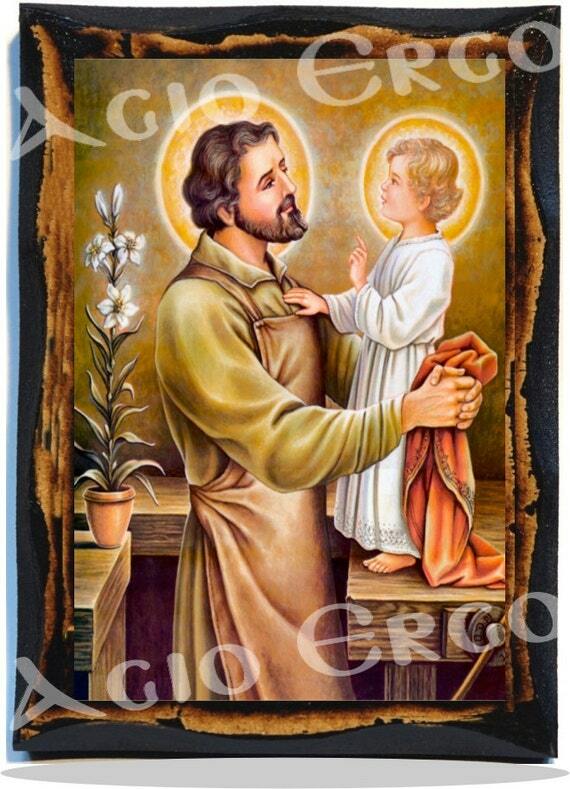 Planning on creating a Saint Joseph altar? 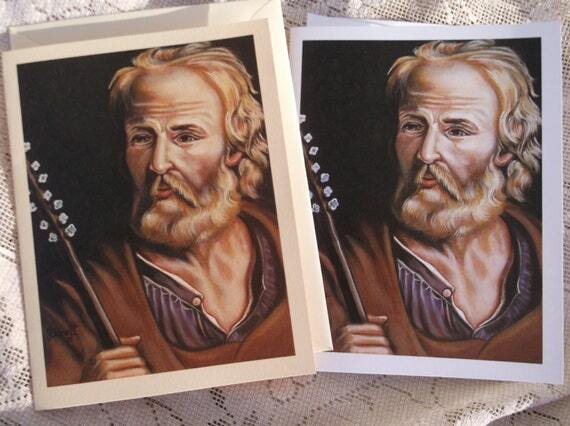 All you need are some boxes, coloring pencils, and these printables to get you started. 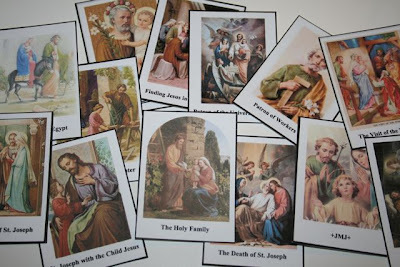 In between reading books about St Joseph (find our favorites below), you can play this St Joseph Memory Match with your children. 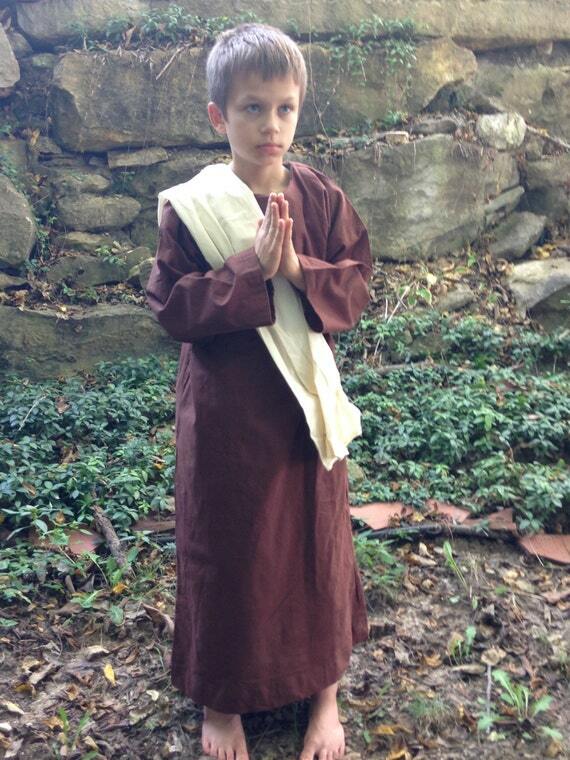 Have budding actors in your family? 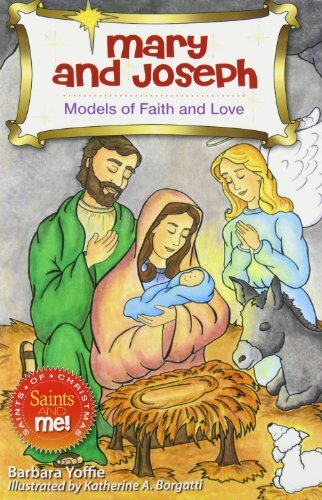 Grab this Holy Family Reader’s Theater. 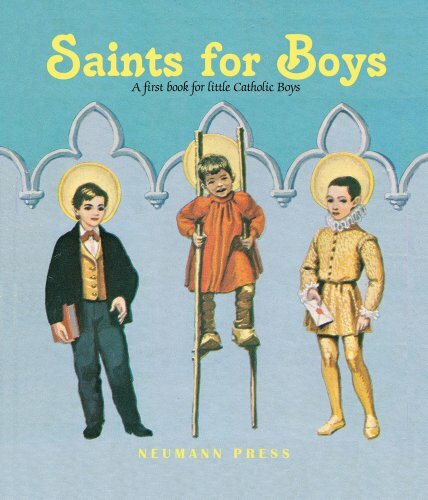 Around our home, we use Catholic books to help teach our children about the saints. 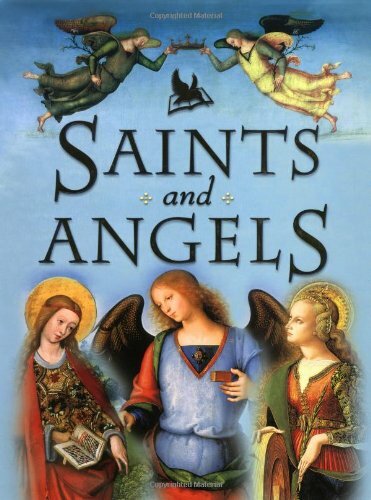 Each month, I take a look at the saints that we want to study, then create my list. 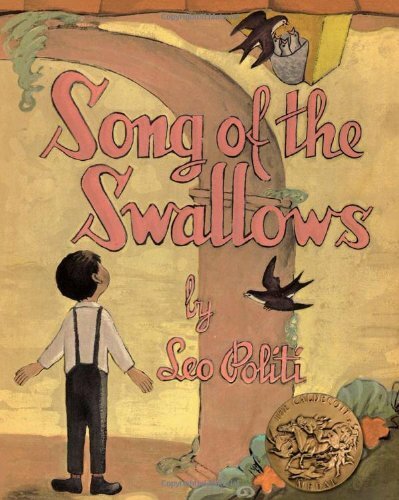 During morning time, we set aside time to learn more. 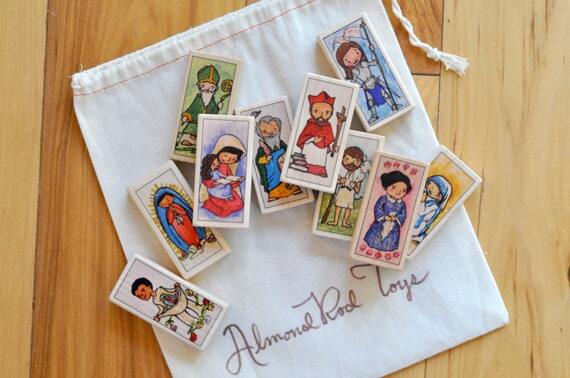 While you’re reading some of the books above, keep little hands busy with some of these Catholic printables. 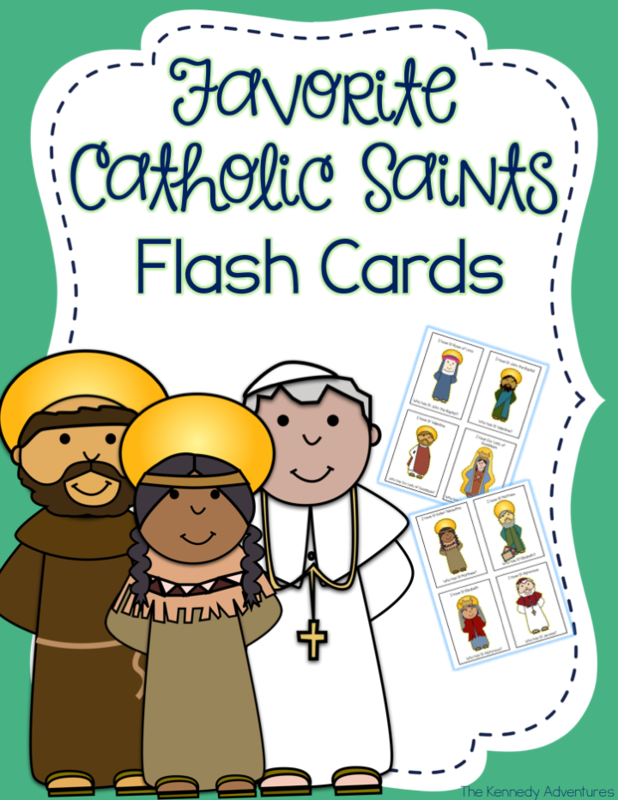 Catholic Saints Flash Cards are a fun way to review facts about Saint Joseph, along with dozens of other Catholic saints. 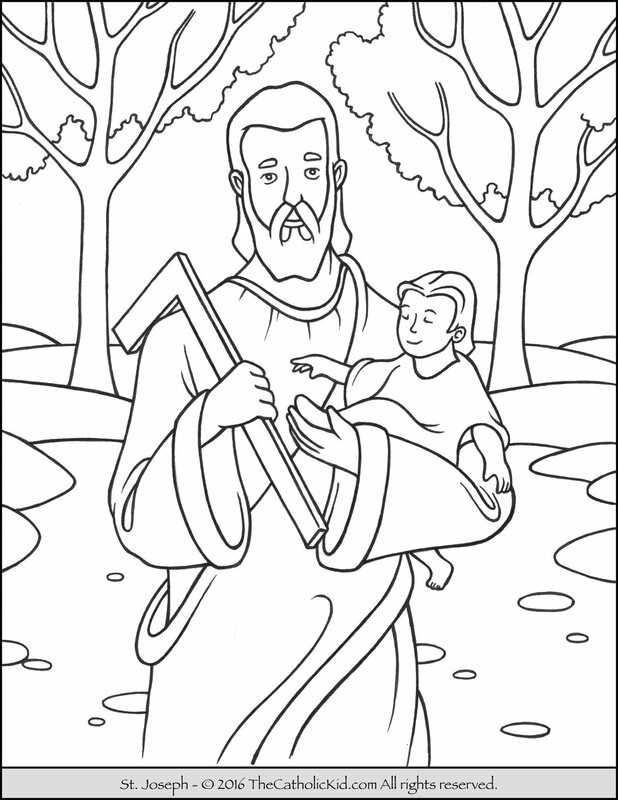 I also found loads of other saint coloring pages and learning activities that tied in with Saint Joseph. 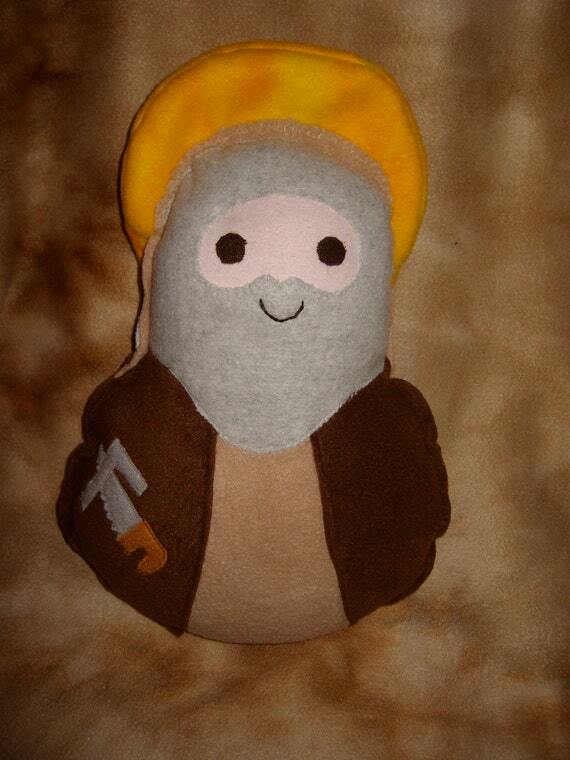 Fire up your printer! 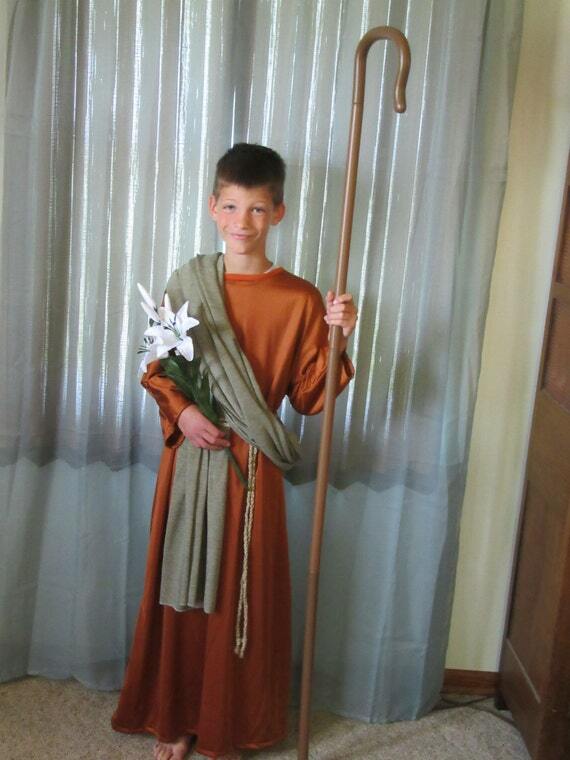 Mom tip: Print some of these out and put them in your purse for Mass for your children. 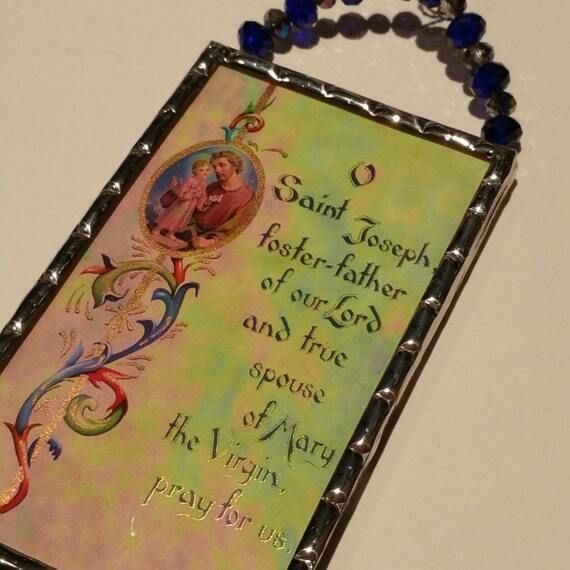 If you’re looking to celebrate on a more permanent basis, you could add art to your home, or wear Catholic jewelry. 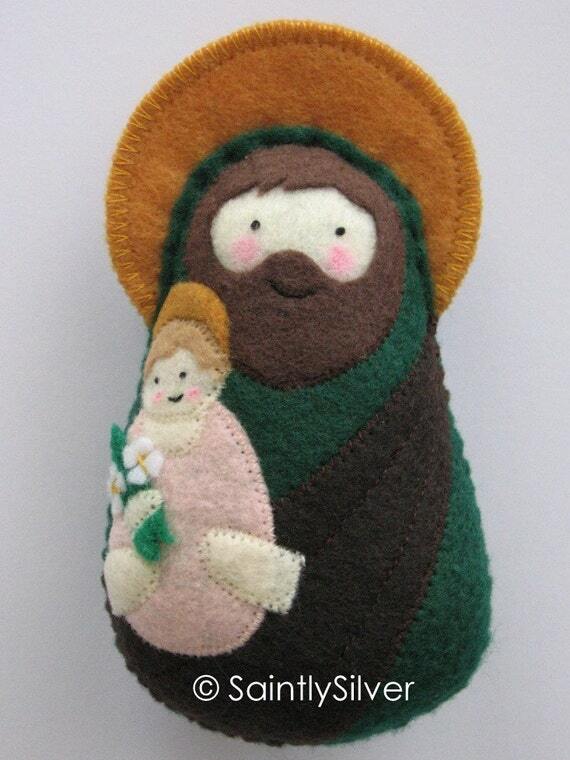 I found lots of ideas, as well as Saint Joseph peg dolls and soft dolls for children. 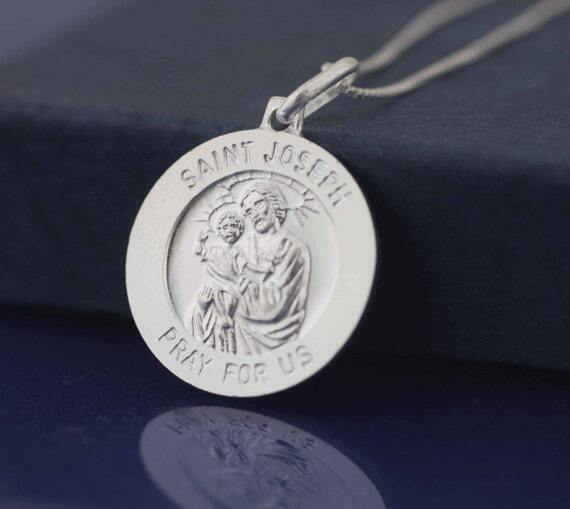 I’d love to hear from you — what’s your favorite way to celebrate Saint Joseph in your home?